The first time I tasted kale, I must admit, I spit it out and threw it away. But my vegan daughter continued to wax eloquent about the virtues of kale: its texture, its taste, its nutrition! 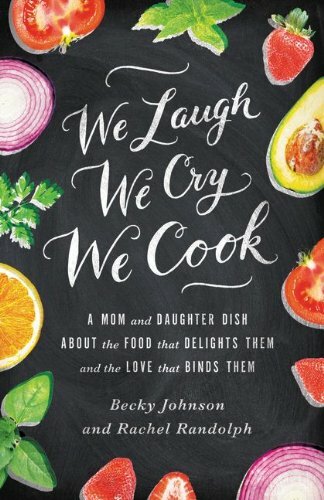 Then one day I tasted a bite of kale, cooked right. I was an instant Kale Convert. Now I also say, “All hail to kale!” It keeps a nice, un-mushy texture in soups and stews and I love the little bit of chewiness. Like spinach that never turns to slime. 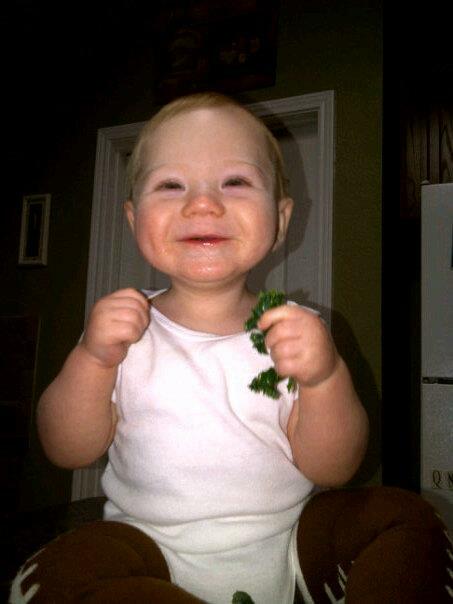 Recently Rachel snapped this picture of her baby, Jackson, overjoyed with his fist full of kale. If this face doesn’t convince you to try it, I’m pretty sure nothing will. This recipe is a wonderful side dish that I like so much, I could honestly eat the whole bunch for lunch. (And in fact, I just did.) It reminds me of the southern-style greens from my childhood that were cooked all day with bacon. But this recipe adds smoky flavor without bacon, richness without added fat, and only takes about ten minutes to whip up. Tear stems from kale, then rinse and rough chop into about one inch pieces. “Massage” these pieces with your hands for about five seconds to tenderize them. Into a skillet put: water, vinegar and 2 peeled cloves of garlic, chopped into about four to six slices each. Boil this mixture and then add the kale. Turn heat down to medium and simmer for about 7 minutes. Check it about 1/2 through cooking to make sure there is enough liquid in the pot to keep the kale from burning. The tricky part is to babysit the kale so that the kale itself absorbs as much liquid as possible, without going dry and burning. 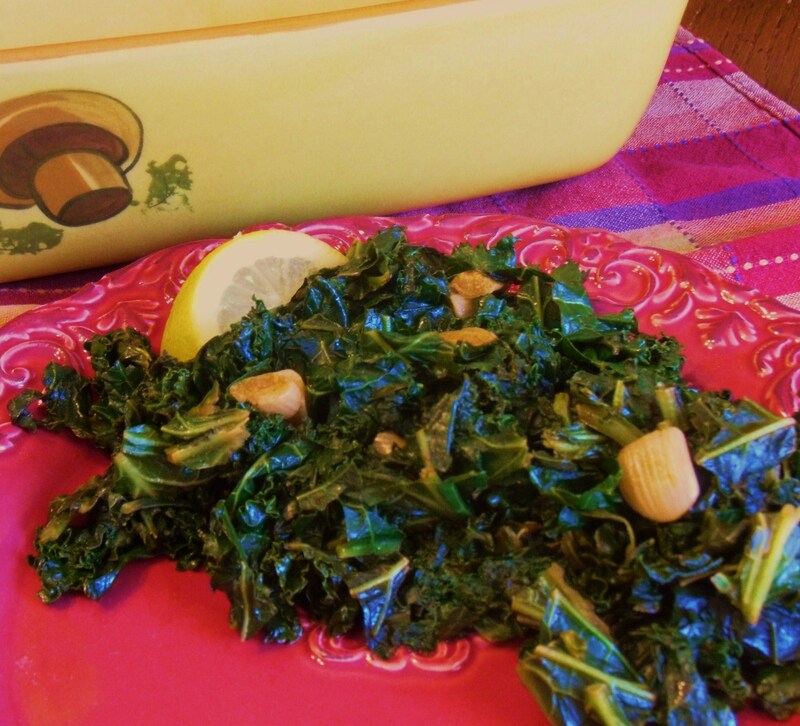 When kale is tender, add olive oil, juice from one half a lemon, and brown sugar. Season with salt and pepper and serve. Serves about 4 people, unless you are me, and ravenous, then it only serves one. Rachel introduced me to smoked paprika, essential for this dish. Adds a wonderful smoked flavor to veggies, beans or meats. I am a recent kale convert. 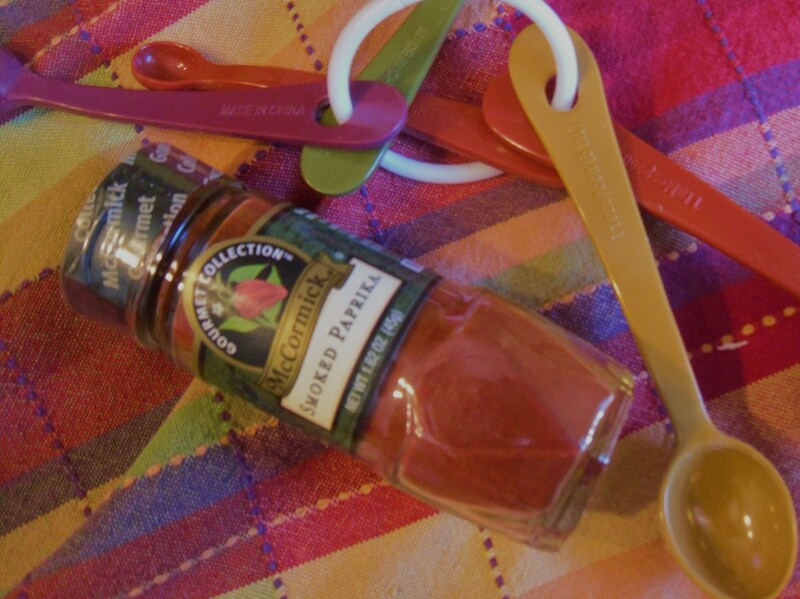 What if you don’t want to buy yet another spice. Will it taste good with regular paprika or none at all? Hi Janice! Good question. If you love smoky flavors, this might be a spice worth purchasing at some point, as I’ve found nothing quite like it. I’ve gone through two bottles since tasting it at Rachel’s house last summer. Very different from regular paprika. However…. you could get that smoky flavor with a bit of ham or bacon or drop of liquid smoke as well! I’m all about using what you’ve got on hand if you can. I was going to suggest a dab (very small dab as it is quite strong) of liquid smoke as well. I’ve also found a smoked salt that has a similar affect. But smoked paprika is a spice you really won’t regret buying! I love kale sauteed with just a bit of evoo, garlic and salt and pepper, so I’d be willing to bet you’d enjoy it without the smokey effect too.